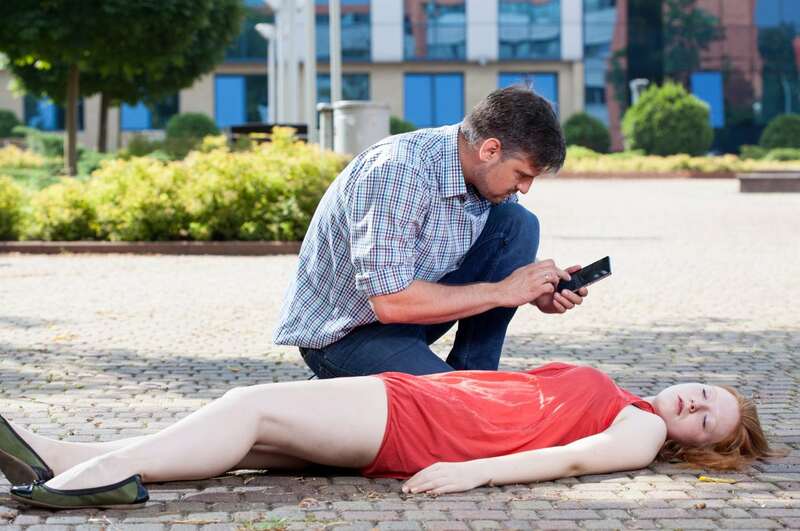 Most occurrences of cardiac arrest in young people happen in public places. Immediate response to cardiac arrest with an AED can make the difference between life and death. 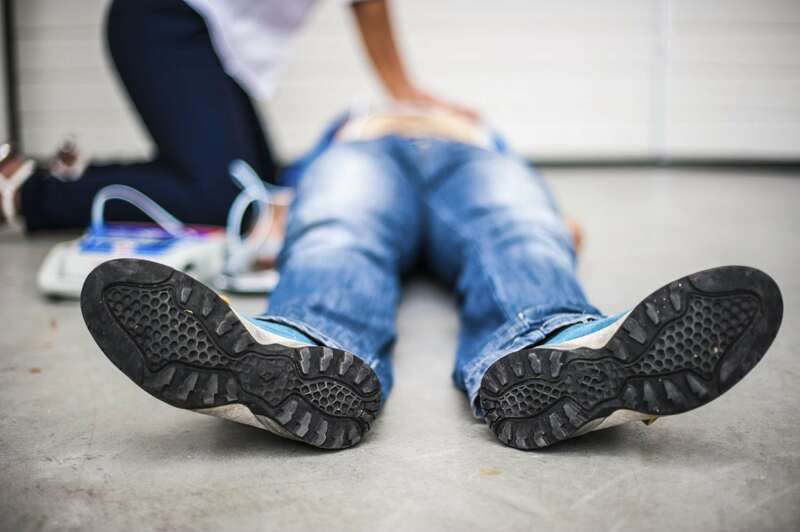 According to the American Heart Association, in out-of-hospital settings when defibrillation with an AED is administered within the first 3 to 5 minutes of a SCA victim’s collapse, an average survival rate of 74% can be achieved. Considering the national average of EMS arrival is 6 to 12 minutes, bystanders are a critical bridge to survival when every minute counts. For every minute that a victim goes without defibrillation, his/her chance for survival decreases by 7-10%. Having easily accessible AEDs allows on-site individuals to deliver potentially life-saving defibrillation therapy quickly and effectively. Rescuers must remember that an AED will not shock a victim if a fatal heart rhythm is not detected, so you cannot hurt a person by attempting to deploy an AED—the device is specifically designed for a non-medical person to use. What’s more important to understand is that if nothing is done for a cardiac arrest victim, he/she will most likely die. Equipping schools and other places where youth congregate with AEDs and training people how to use the technology properly can provide a youth struck by SCA another chance at life. When SCA occurs, proper performance of the five vital links in the Cardiac Chain of Survival, which includes early defibrillation with an AED, can dramatically increase survival rates of cardiac arrest victims. Anyone can save a life when you follow these steps. 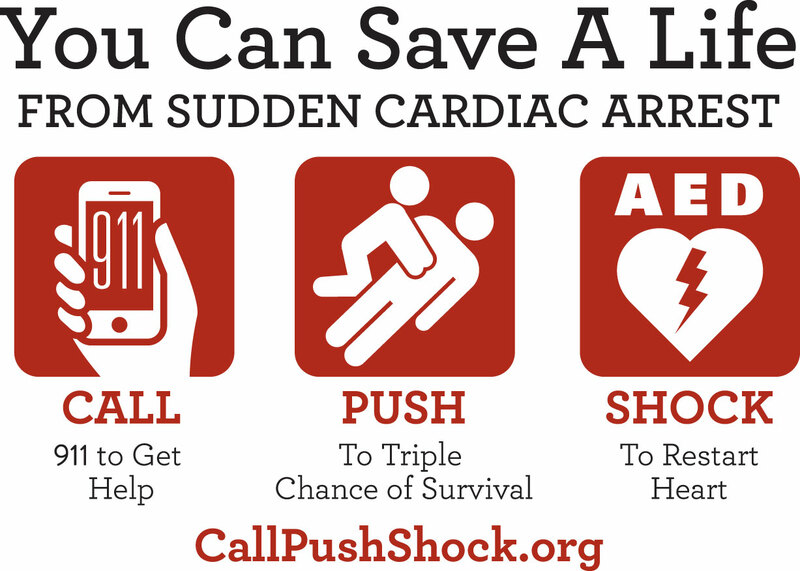 Visit CallPushShock.org to learn more. Good Samaritan laws have been passed in all fifty states that protect rescuers from civil immunity in cases where they volunteer to help. This legislation extends to the use of AEDs and applies as long as the rescuer is not paid to perform rescue skills as part of his job. Paramedics, EMTs, and emergency room personnel may not be covered by the same protection afforded to volunteer rescuers. Good Samaritan laws differ from state to state. Some protect rescuers who use AEDs even if they never went through training while others require completion of a state or nationally recognized class. Other states not only protect the rescuer but also the physician who serves as medical director, the owner of the facility where the AED is located, and even the person or entity that provided training in AED and CPR skills. Since such variation exists, you should take the time to familiarize yourself with the statutes that apply to your state.